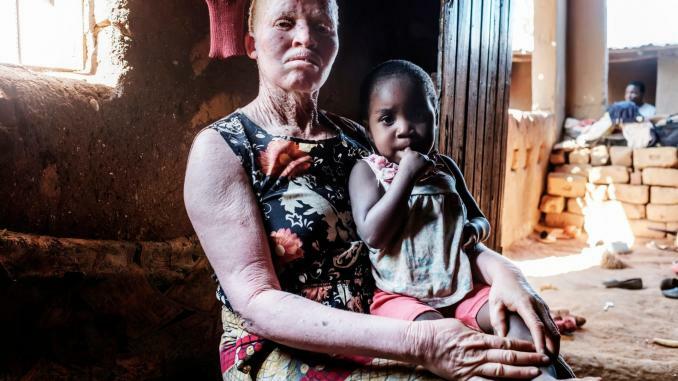 Had the members of northern Kenya’s Samburu tribe encountered an injured or abandoned baby elephant a year ago, they likely would have left it to die. 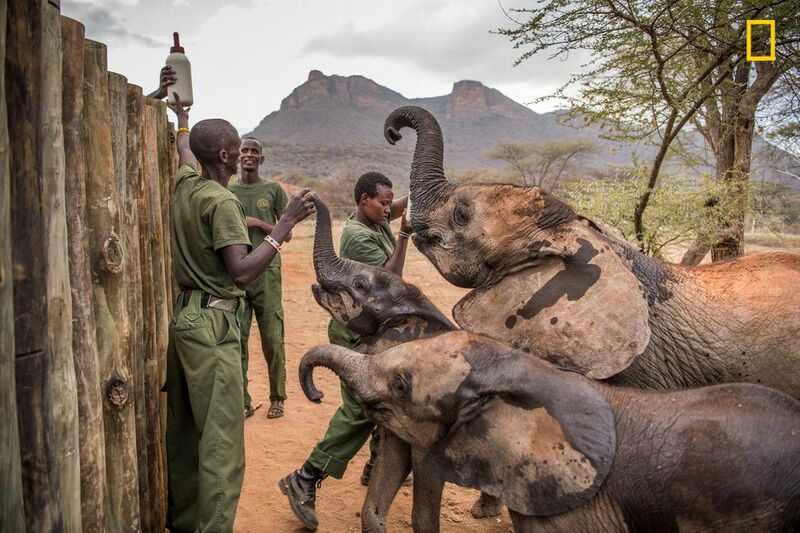 Today, with the support of the Reteti Elephant Sanctuary, locals are working to save endangered calves. 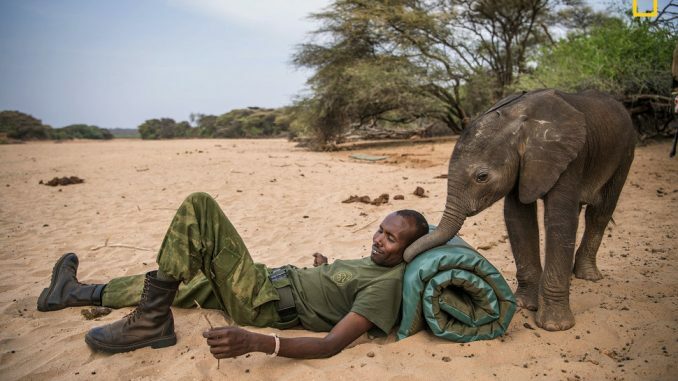 Photojournalist Ami Vitale traveled to the baby elephant orphanage to document community relations with the animals for National Geographic. Reteti opened in August as part of a network of community groups in the region working to foster sustainable development and wildlife conservation. 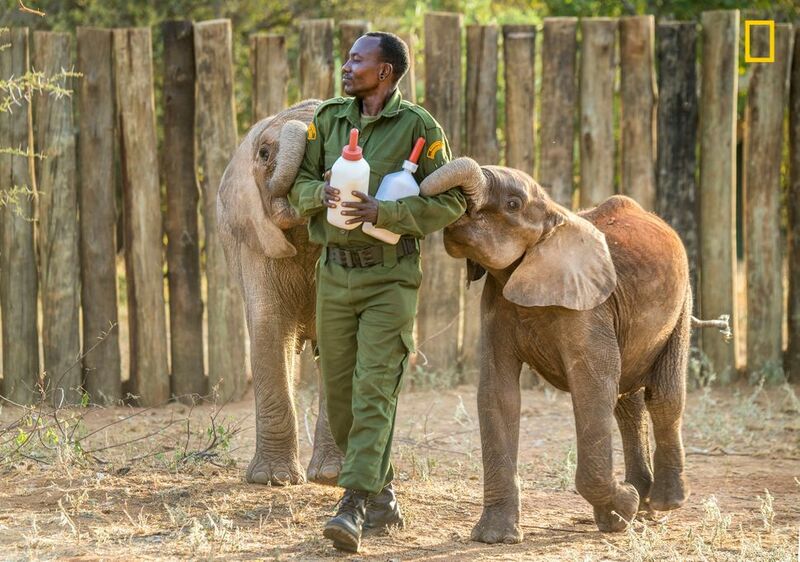 Elephant keepers there try to rehabilitate wounded calves and reunite them with their herds, when possible. Elephants are ecosystem “engineers,” Vitale notes. 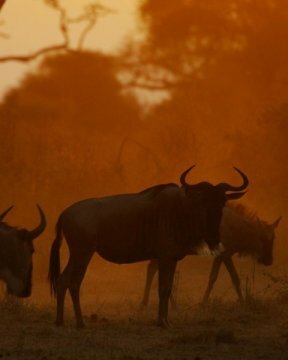 They feed on low brush and bulldoze small trees, which promotes the growth of grasses and attracts other grazing animals. But ivory poachers have caused elephant numbers to dwindle, with the African elephant population plummeting by more than 110,000 over the past decade, according to the International Union for Conservation of Nature. At least 33,000 elephants are killed for their tusks annually. In the past, members of local tribes feared elephants and weren’t interested in trying to save them, Vitale explained. But now, largely thanks to sanctuaries like Reteti, villagers are working to protect the estimated 6,000 elephants that live alongside them. Take a look at Vitale’s stunning photographs below. You can read more about her time at Reteti here. Elephants aren’t very patient at feeding time, as is evident when Amos Leleruk and his hangers-on step out for a meal. In the wild, weaning usually occurs when elephants are 5 to 10 years old. 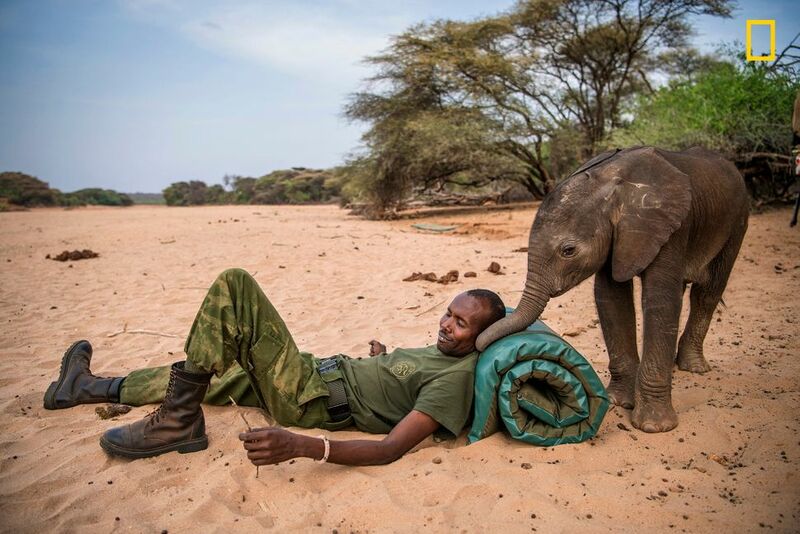 Joseph Lolngojine, a Samburu warrior turned elephant caretaker, watches over Kinya. 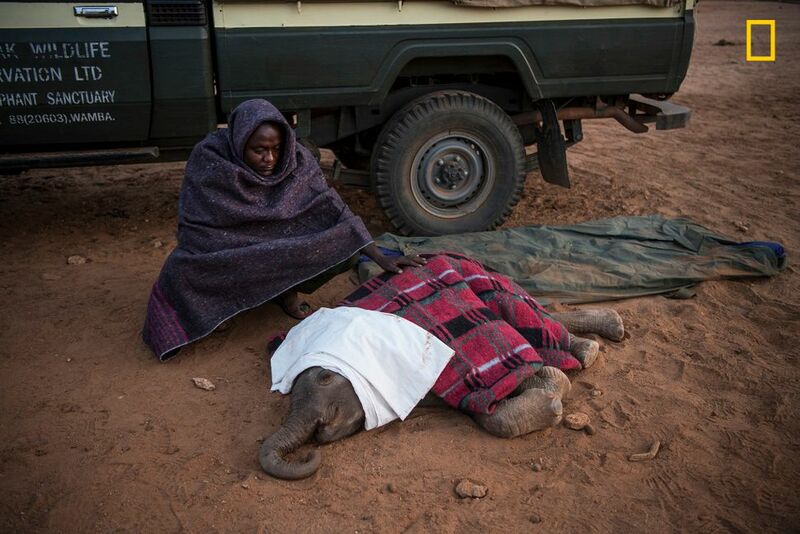 Moments after this photo was taken, the decision was made to bring her to the sanctuary to try to save her life. 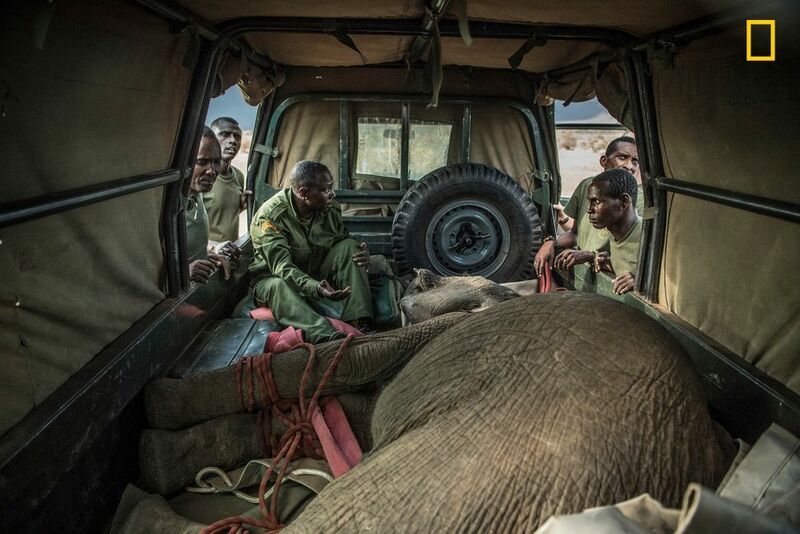 A sedated 15-month-old Sosian is loaded into a specially adapted vehicle for transport to the sanctuary. He was brought in when his mother was found shot and mortally wounded. The Reteti team makes sure to take in only orphans, not temporarily abandoned youngsters. Mike Learka reaches for a bottle of formula while Naomi Leshongoro (at right) empties one into a hungry mouth. In the wild, grown elephants can be a threat to humans and their property — the Samburu have traditionally avoided them or chased them away. 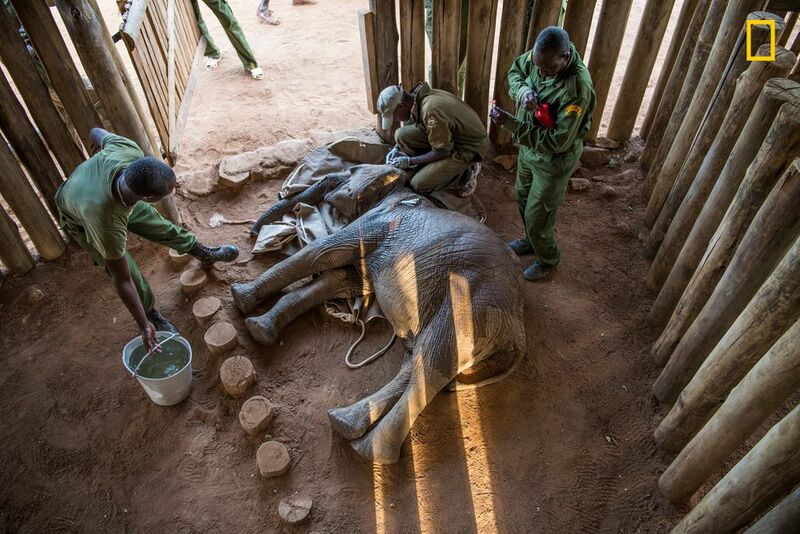 Mathew Mutinda, a vet with the Kenya Wildlife Service, crouches over 18-month-old Mugie, still sedated after his rescue. His mother had been shot and killed in a conflict with people. 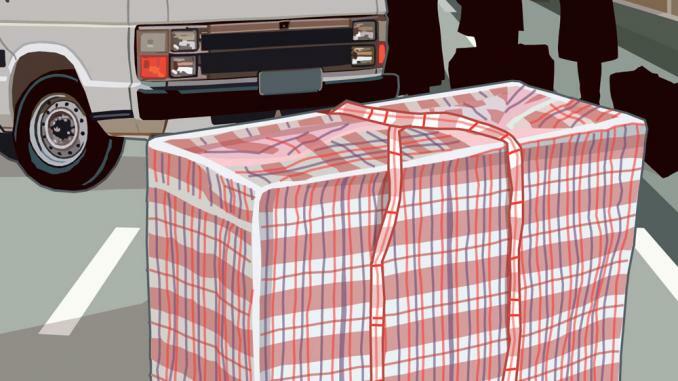 Mugie was flown to an airstrip near the sanctuary, then driven to Reteti.